Darby Marriott is a middle aged professional currently residing in Kitchener, Ontario Canada. 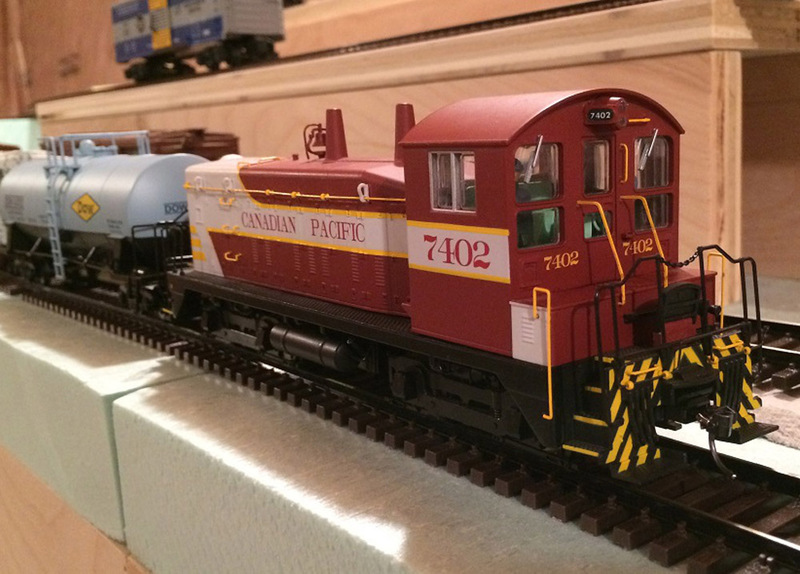 While not managing the development of state of the art broadcast communications software products, Darby enjoys planning and building his new layout: the Grand River Railroad – Canadian Pacific Waterloo Sub circa mid-1960s in S Scale. Darby is also a volunteer with the St. Jacobs and Aberfoyle Model Railway. With a mindset on utilizing the latest technology in any given discipline, BlueRail was a logical choice for Darby when selecting a control mechanism, given its reliance on smart app software and wireless BlueTooth. The other significant factor was the capability of integrating battery power, thus alleviating the need to wire the new layout while providing a hassle free operatizing experience. The chosen motive power to match the prototype was an S Helper Service SW9/SW1200. 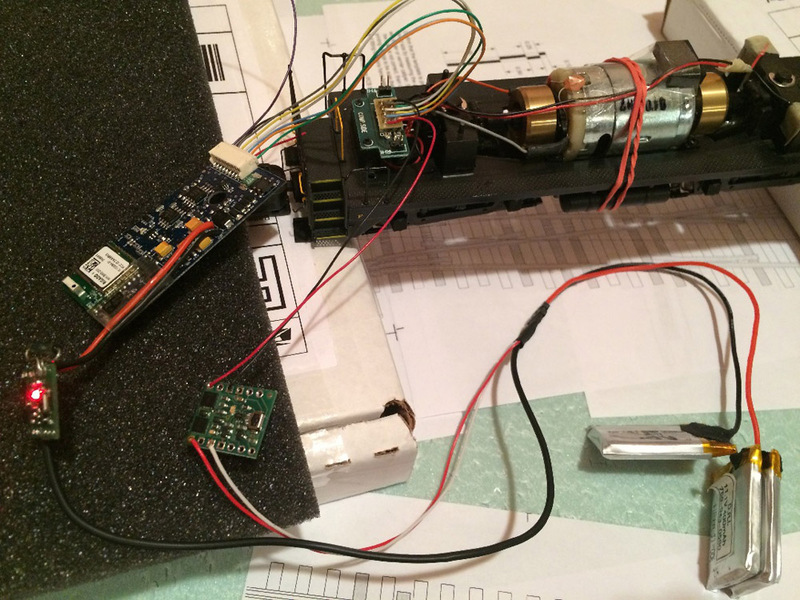 This engine proved to be the ideal candidate to receive Bluetooth control under battery power. The dimensions of the shell allow the BlueRail board to be located perfectly above the motor with just enough clearance in both height and width. 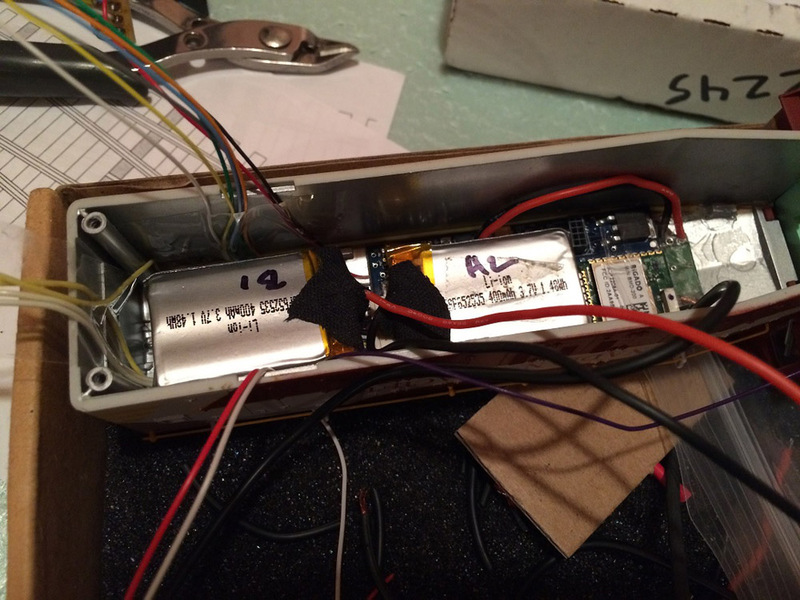 Powering the system is a three cell 11.1V, 400mA battery situated in the front of the loco. A pair of switches allow control of two different circuits. 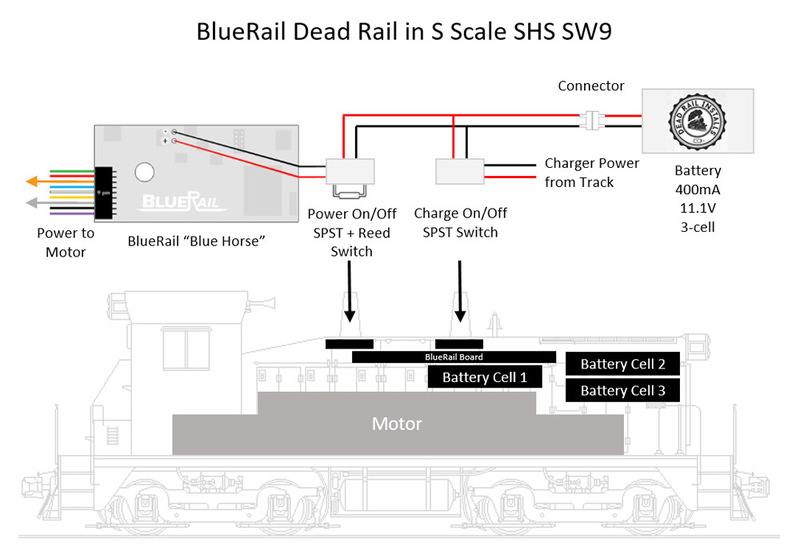 The first circuit is used to provide power from the battery to the BlueRail board. The second circuit routes power from a charging track back to the battery. This allows the loco to be charged while on the rails and not in use. The switch buttons are positioned precisely beneath the two exhaust stacks, allowing for easy access to enable or disable the desired circuit. 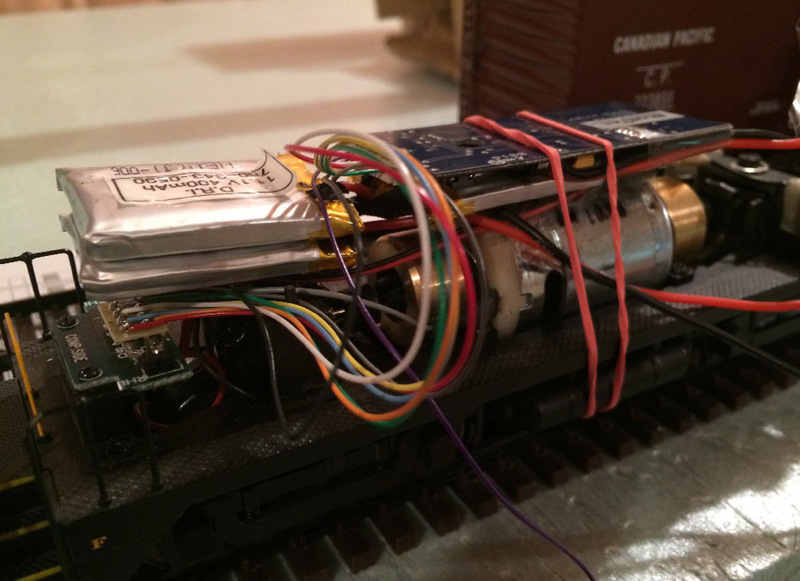 A reed switch is also in line with the battery and provides a touch free method to power the loco on and off. A hidden connector was made accessible underneath the loco to disconnect or directly charge the battery if necessary. While retrofitting the loco, LED head lights and a cab light were installed and make use of three out the four available BlueRail accessory controls. The optional 8-pin, 5” wiring harness was used to complete the custom wiring arrangement, as were the optional pre-soldered dead rail lead wires. When set to Freight mode in the BlueRail iOS app, full throttle was calculated to be 30mph scale speed. While at full throttle, a running time of over 2 hours can be achieved on a full battery charge. Battery charging takes approximately ½ hour.